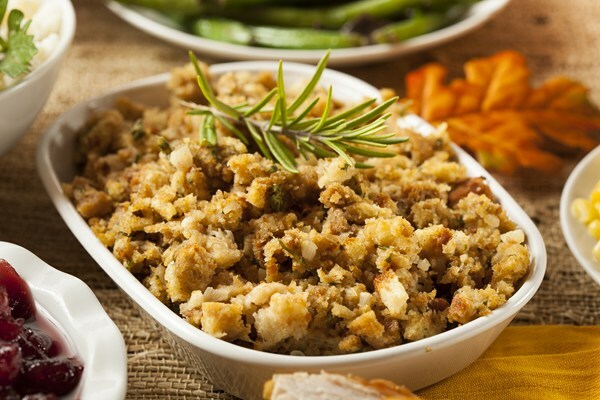 Once you’re done buying your turkey, it’s time to start thinking side dishes. From salad to cornbread to sweet potatoes, there’s a huge variety of side dish recipes out there to choose from! 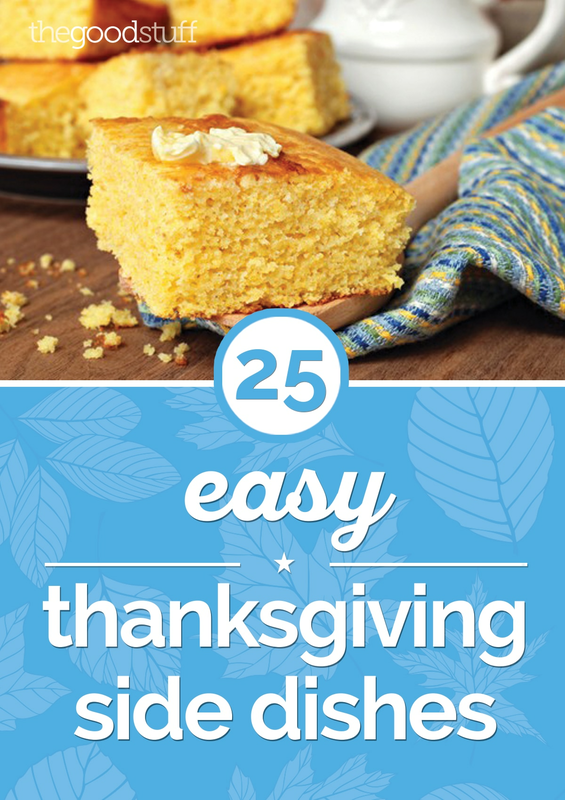 We’ve chosen our top 25 easy Thanksgiving side dishes for you, so pick out the recipes your family will enjoy and get ready for a delicious holiday treat! Thanksgiving isn’t just about the sides! 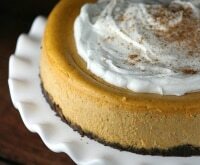 Check out these deliciously sweet no-bake desserts in some of your favorite holiday flavors. 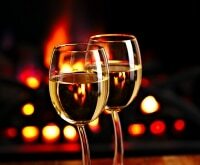 Are you just cooking for two this year? Don’t worry, we’ve got 11 recipes made just for you and your guest. 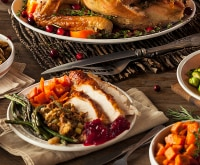 If you love to cook Thanksgiving dinner, why not show some love to those less fortunate by volunteering to make Thanksgiving dinner for a shelter? 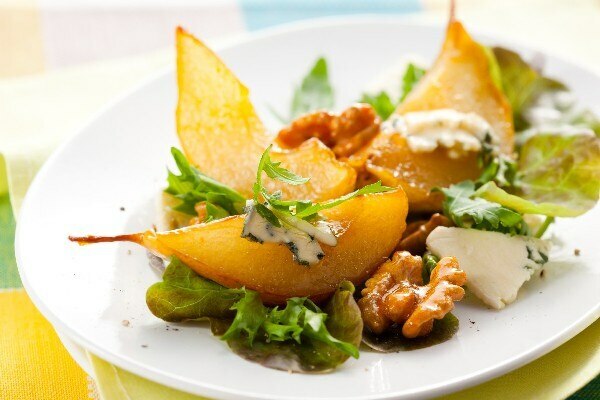 Add a little sweet to your salad with juicy pears. Avocado and Roquefort cheese will help balance out the sweetness, leaving every guest satisfied. 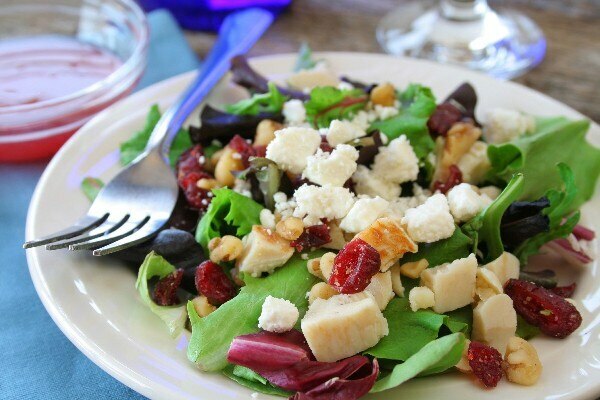 This harvest salad is autumn-inspired with cranberries and walnuts throughout. Pour the raspberry vinaigrette over it and serve! Who could resist the delicious combination of candied walnuts and gorgonzola cheese? 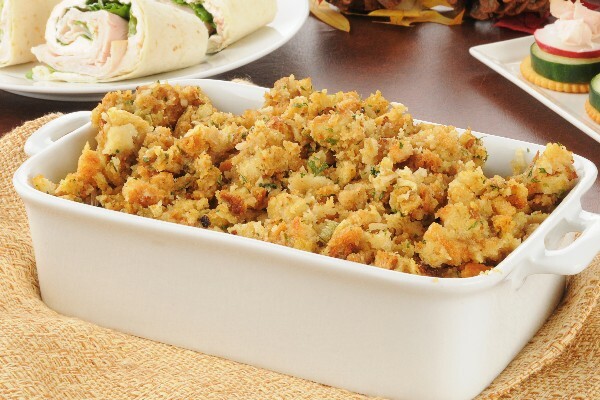 This easy stuffing recipe starts out with that white bread hiding in your pantry and transforms it into a Thanksgiving classic. 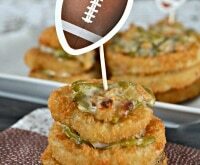 If your family is full of stuffing fanatics, check out these 8 additional stuffing recipes that are sure to be amazing! There’s something about cornbread that brings about feelings of a classic country meal. 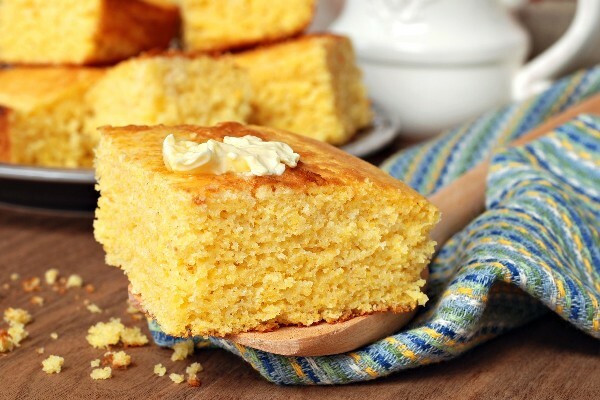 This recipe for buttermilk cornbread would make any grandmother proud! 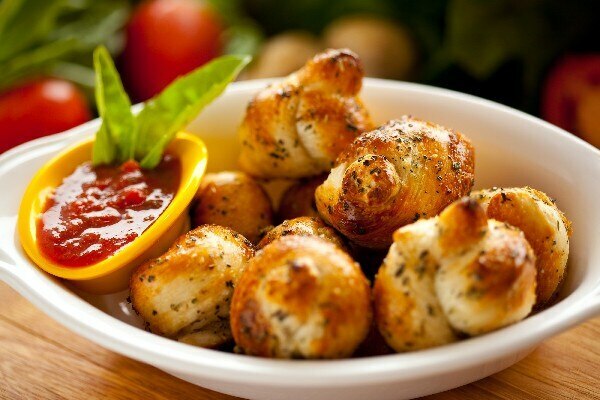 You can use frozen bread sticks to make these delicious garlic knots. How’s that for a simple Thanksgiving side solution? 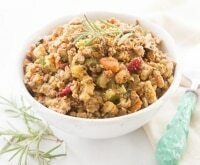 Boost that boxed stuffing mix with this easy-to-make mixture of celery and onions. Bonus! You can make this recipe on your stove top, meaning your oven is free to roast that turkey. 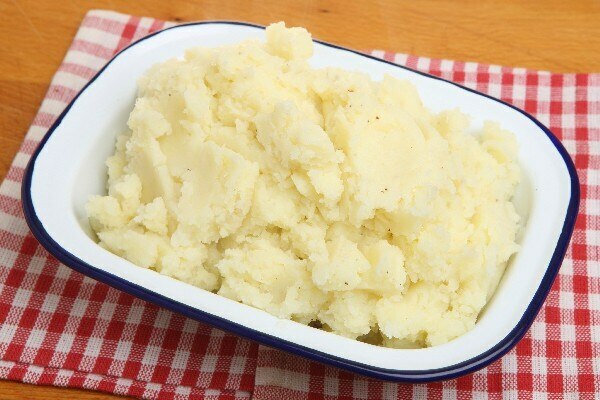 These creamy mashed potatoes will be a hit at your table. Use an electric mixer to whip them until they’re light and fluffy. 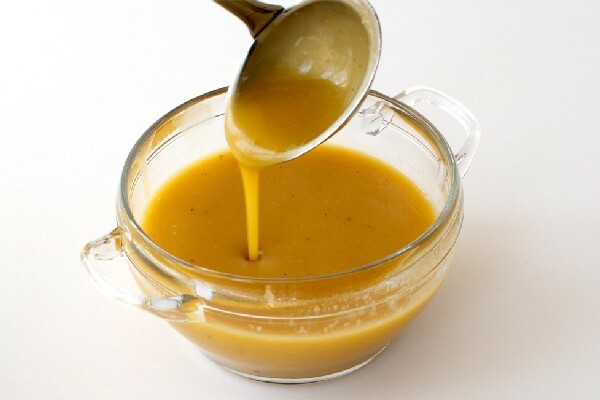 Nothing says Thanksgiving like homemade gravy, and this recipe is so easy it doesn’t even require your turkey to be finished roasting! 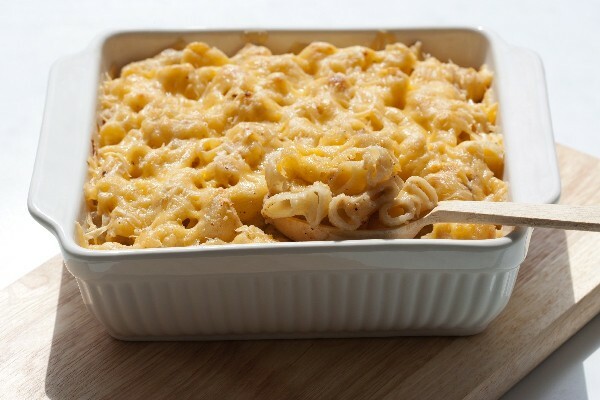 Everyone loves hearty macaroni and cheese, and this recipe takes things up a notch with a combination of muenster, cheddar, sharp cheddar, and monterey jack cheeses. 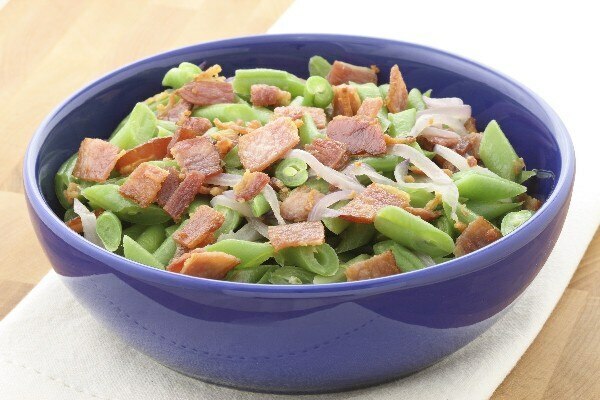 Bacon lovers will adore this savory green bean dish, and you’ll love the fact that it takes only about 30 minutes to prepare and cook. Who said you couldn’t get a healthy dose of veggies this Thanksgiving? 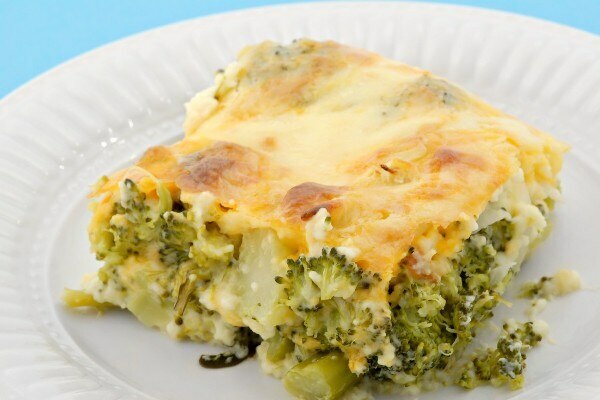 Broccoli and cheese together will warm you up on a chilly fall day. 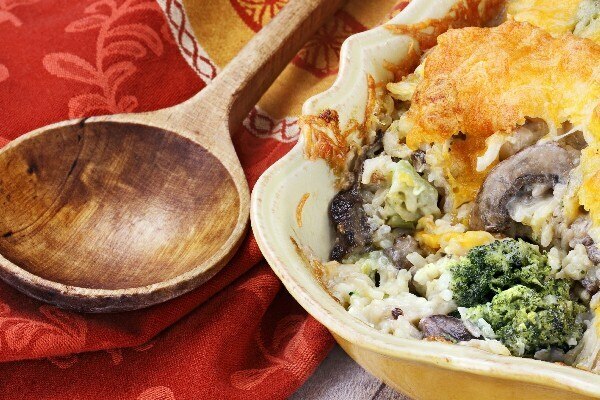 Broccoli, rice, and cream of chicken and mushroom soups blend together perfectly in this hearty dish that’s sure to fill you right up. Did we mention we love bacon? 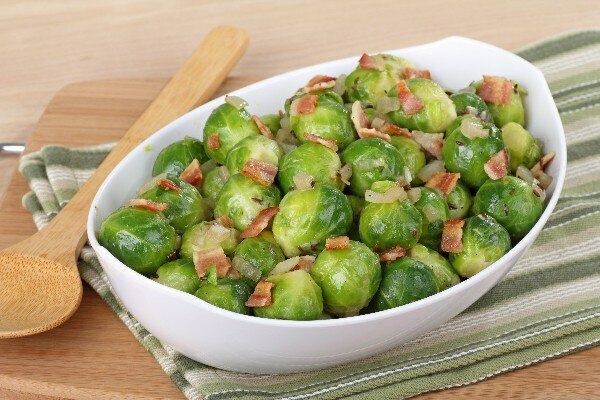 This savory meat enhances the flavors of your oh-so-healthy Brussels sprouts, making this a dish even the kiddos can’t refuse. Have you tried cooking hearty fall veggies in your kitchen? Give these 7 fall vegetables a try — we’ve even got tasty recipes to go with each one! 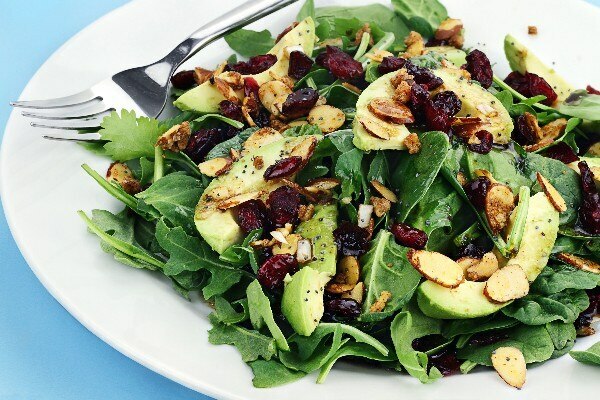 With 11 grams of dietary fiber, you’re sure to get your veggie’s worth in this dish. Layer in bacon, onions, garlic, and spices for the full flavor effect. 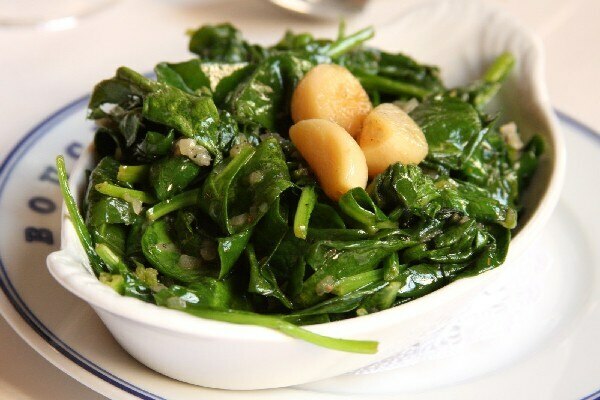 Speaking of healthy greens, you’ll love the zest fresh garlic gives to this tender sauteed spinach. 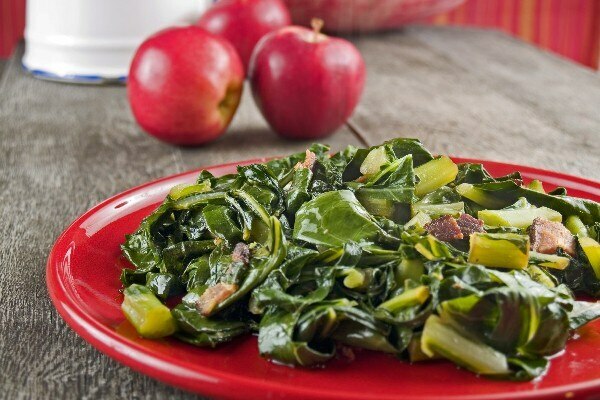 Best of all, this healthy side dish is ready in just 10 minutes! Keep Thanksgiving on the healthy side with garlic-sauteed spinach and these 18 flavorful veggie side dishes! 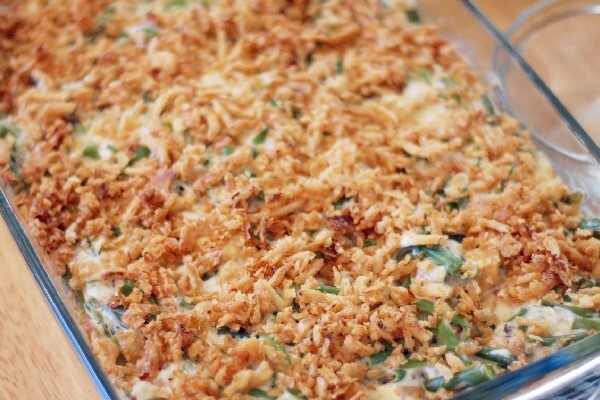 Doesn’t this green bean casserole recipe just remind you of Thanksgiving at Grandma’s house? This classic take is topped with cracker crumbs and cheese for a crunchy kick. 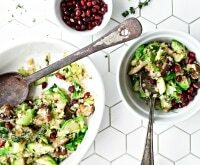 Give your green bean casserole recipe a zap of flavor with these 7 unique takes on that classic dish! 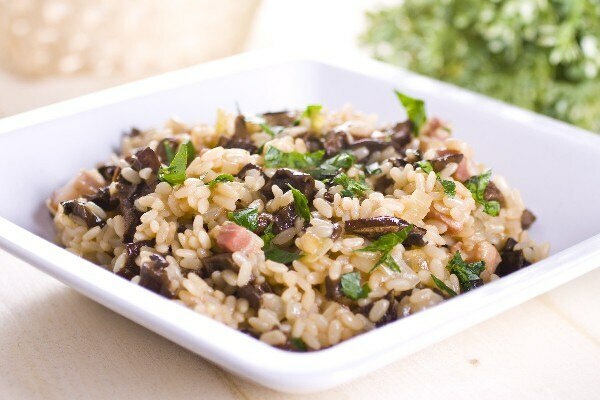 This mouthwatering Hazelnut-Mushroom Pilaf will have all your guests begging you for the recipe. The flavors of mushrooms, onions, and celery are enhanced with a combo of hazelnut, parsley, marjoram, and black pepper. 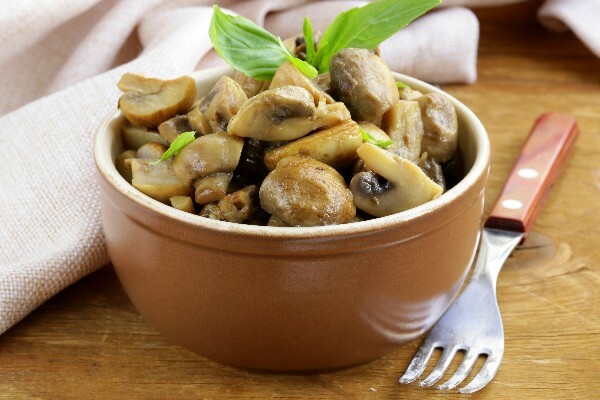 If you love mushrooms, you’ll love this recipe. White wine and garlic balance the earthiness of the mushrooms perfectly, making this hearty side perfect for fall. Cauliflower is a great way to get those healthy veggie nutrients in a dish. This oven-roasted recipe will have guests refusing to believe there’s a healthy vegetable hidden in there. 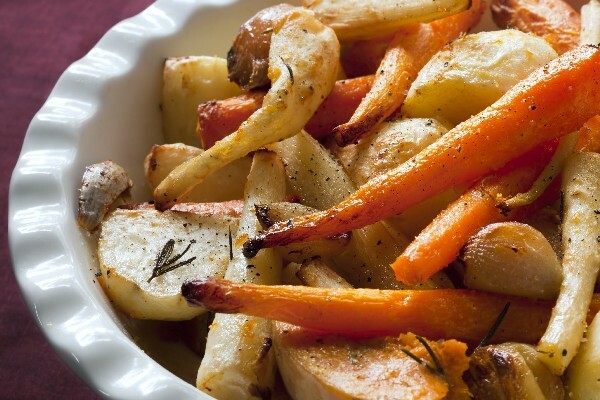 If you have picky eaters at your holiday table, give this roasted veggie recipe a try. Garlic and herbs will help enhance those healthy flavors, and your guests will be asking for seconds! 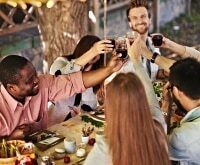 If health is on your mind this holiday season, you can still enjoy the festivities and traditions with these 6 skinny Thanksgiving sides. 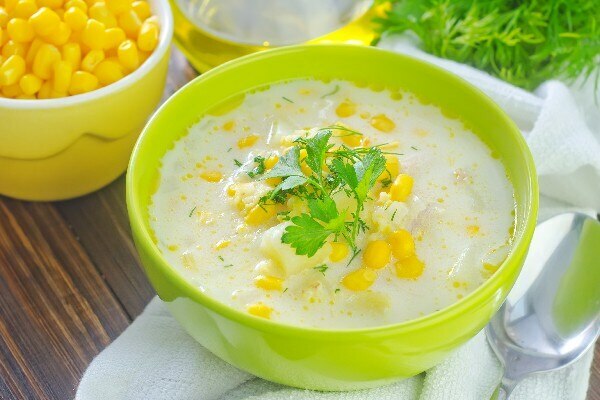 This creamed corn recipe gets our vote! 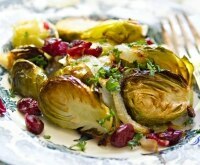 Whip up this creamy concoction in your slow cooker, leaving your oven and stovetop free for more sides and your turkey. 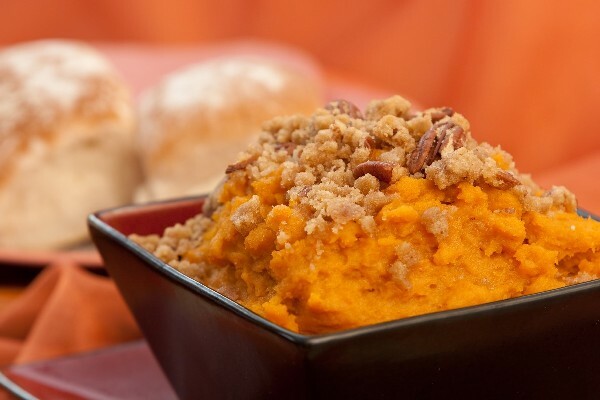 Enhance the sweetness of your sweet potatoes with a brown sugar and pecan topping. What a wonderful dish to share during the holidays! If you love your holiday cranberry sauce, you’ll love this cinnamon-apple version. 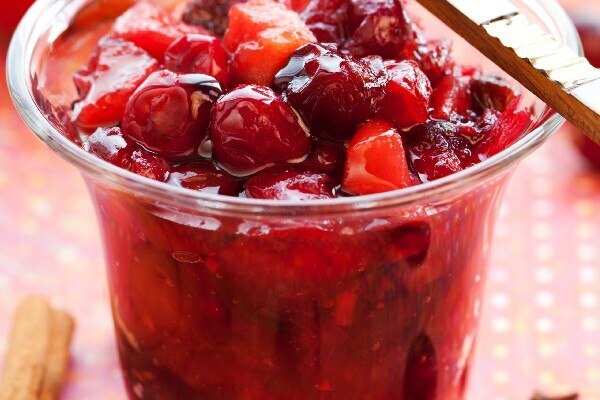 Made with whole cranberries, this delicious recipe takes less than 30 minutes to make! If you love the traditional flavors of a classic cranberry sauce recipe, you’ll love to know that this slow cooker cranberry sauce recipe only takes four ingredients! 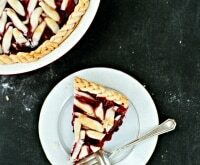 For another flavorful take on the traditional cranberry sauce recipe, try this pear-honey version. Two whole pears and honey — plus those cranberries — make this a dish you’ll want to make again and again!